Read, download and share our helpful retirement guides. Fifties, Family Flown the Nest and Thinking About Your Future? If you’re in your fifties, now is a critical time. You’re probably still working but your children may have flown or are about to fly the nest, and you’re starting to look to the future and consider what is next for you. There are things you want to see, do and achieve that working and family life may have prevented. You also want to know that you will have enough money to live your desired lifestyle, without money worries, for the rest of your life. 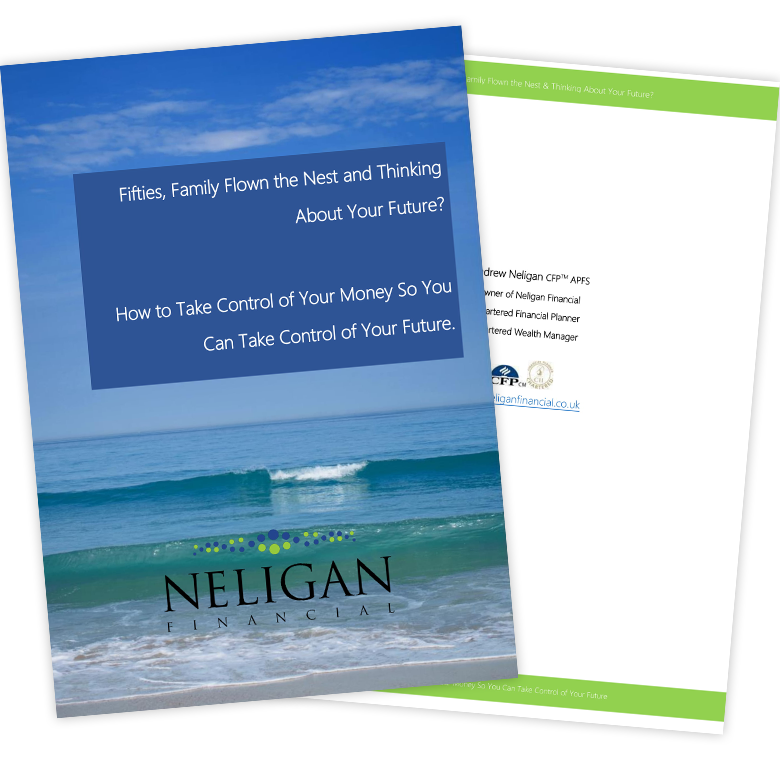 We hope this guide will inspire you to take a realistic view of your current financial position, and to start doing the things today that will make all the difference to your tomorrow. If you’re now thinking about the future and what retirement might look like, you might not know where to start. You may have a filing cabinet (at best) or a mass of envelopes stuffed in plastic bags (at worst), all containing details of pensions, investment and life assurance policies accrued over the decades. But you can’t see the wood for the trees. You don’t know where to start to make sense of it all. And because you lack clarity, you don’t know whether you have enough money to do everything you want to without money worries. If you have experienced this feeling, then this guide is for you. 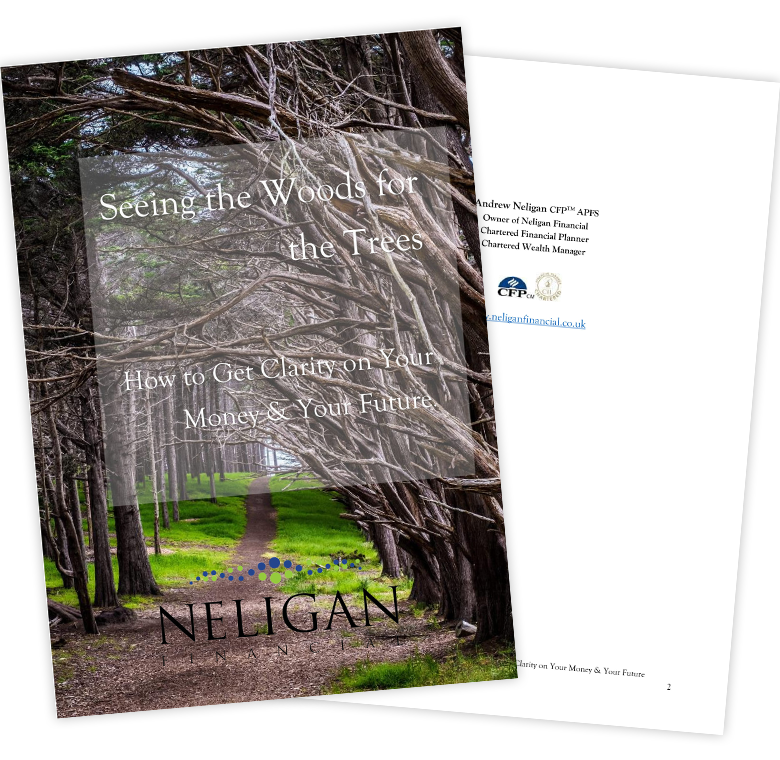 It’s intended to be a step-by-step strategy to help you ‘see the woods’ so that you gain financial clarity.